How would you quickly bring up a Maze Worksheet that you used last year? 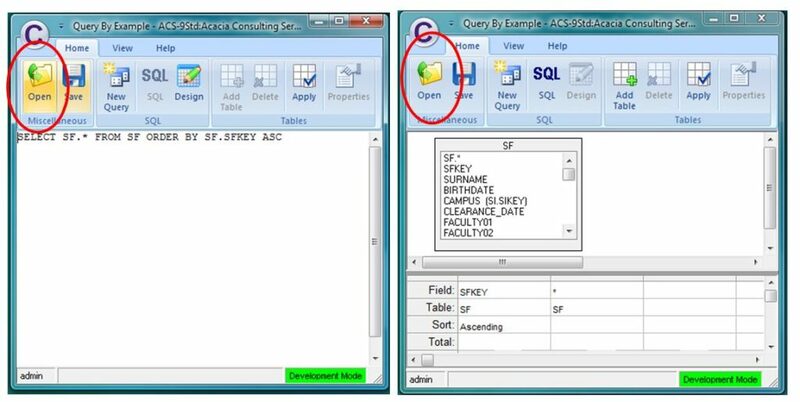 Creating an SQL Query in Worksheet either in the “Query By Example” window or in the “Query Designer” window can be useful and even more so when you are able to re-use it next term, next semester or next year. After creating a useful query the first step is to save the query itself. Make sure you name the query that easily identifies it’s use. 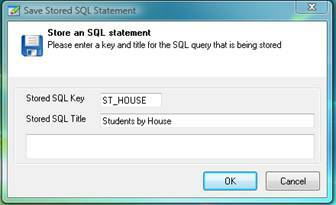 This query returns all students for an operator selected House; hence I have called it ST_HOUSE (student table (ST) and HOUSE). Click on the OK button. 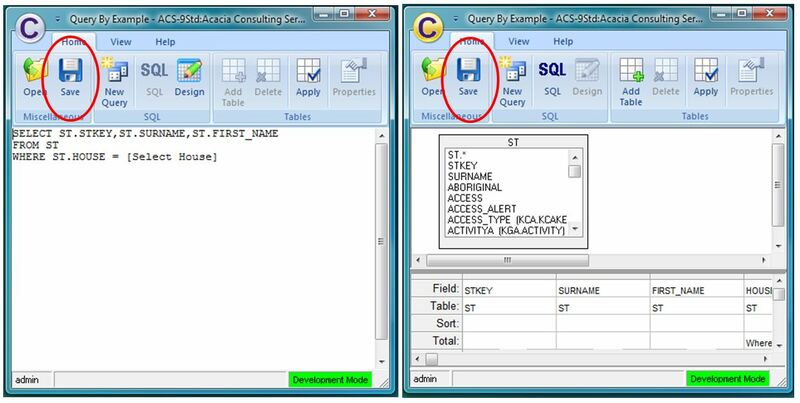 Now whenever you, or anyone else, opens up Worksheet, the stored SQL Query (ST_HOUSE) will be available for use. Click on the Open toolbutton on the Home Ribbon. The ST_HOUSE query is now ready for use. Click Apply from the Home Ribbon and the relevant data will be shown. Remember you are storing the query, not the data, so every time you re-run the query the data returned is current. I use this with very old notes. This email is very helpful. Thankyou.